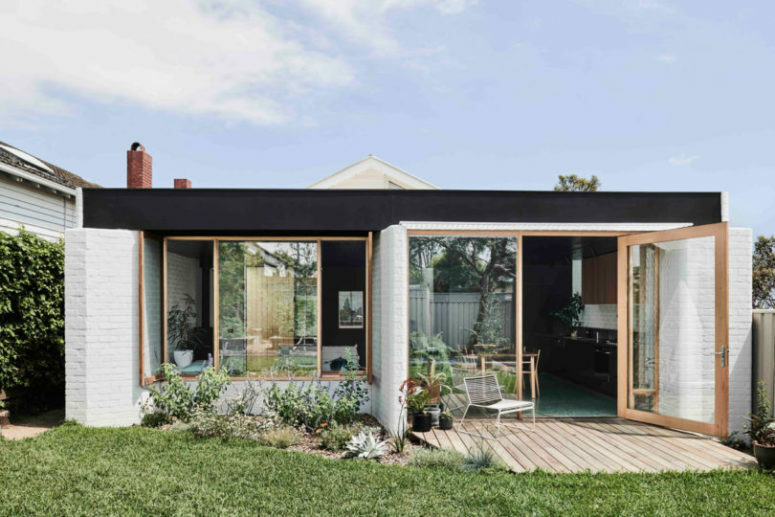 The Brunswick West House is a Californian bungalow was created by Taylor Knights. 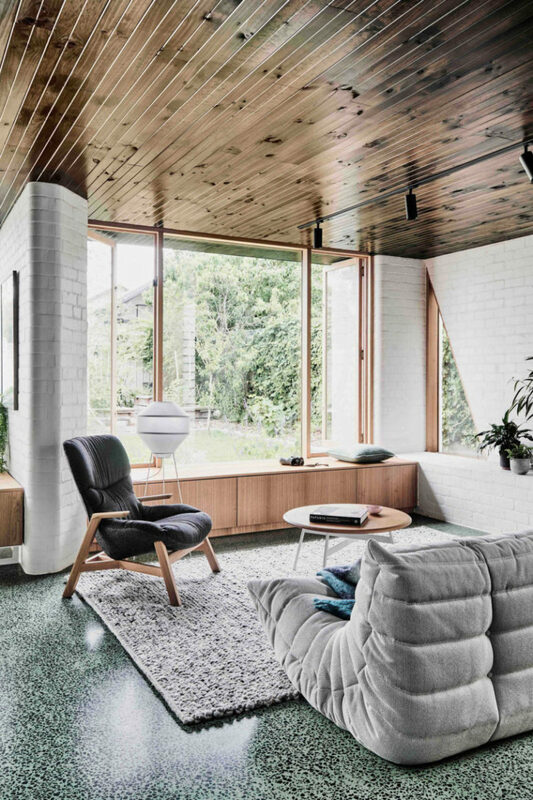 He did a small renovation and modern addition that re-established a connection between the home and the garden. He created a new entryway from an ivy-lined pathway instead of re-configuring the original home at a high cost. This plan separated the home into two halves with the original part being used as the private area, while the new addition hosts the public activities. Let’s take a look. A white brick walls, dark stained ceilings, a wooden windowsill bench plus a hearth and comfy chairs. A modern yet cozy contrast. 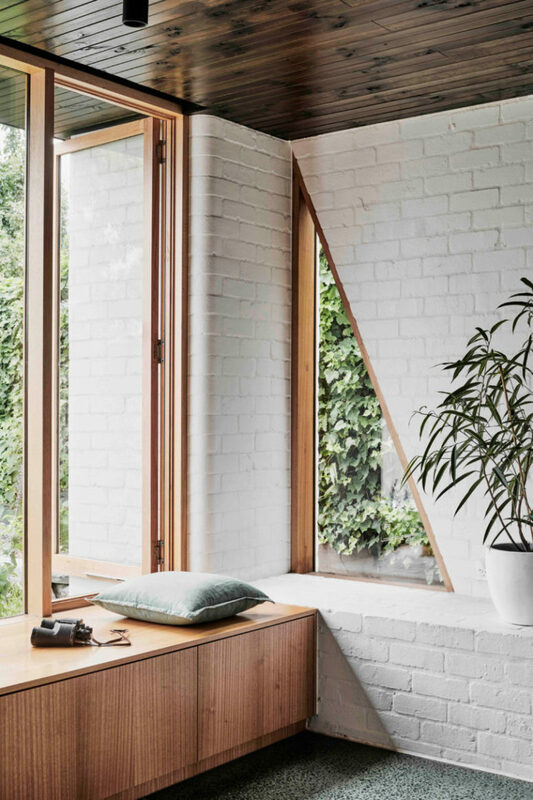 A large window and a couple of triangle cutouts for connecting the space to outdoors and fill it with natural light and make them welcoming. A modern and comfy, an upholstered loveseat and a comfy chair plus a coffee table, all in perfect harmony with each other. Little nooks were formed offering places to sit and relax or spend time with family. 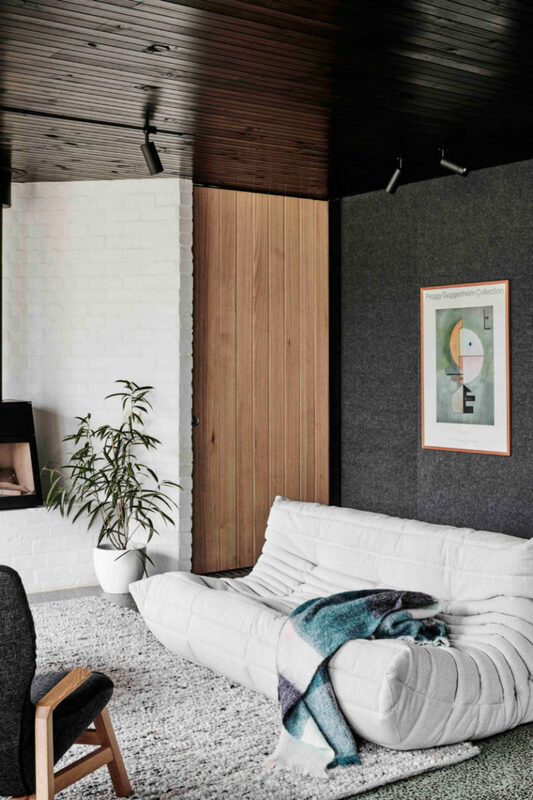 Wood, a cool rug, greenery and an artwork are a great combination to make the space cooler. 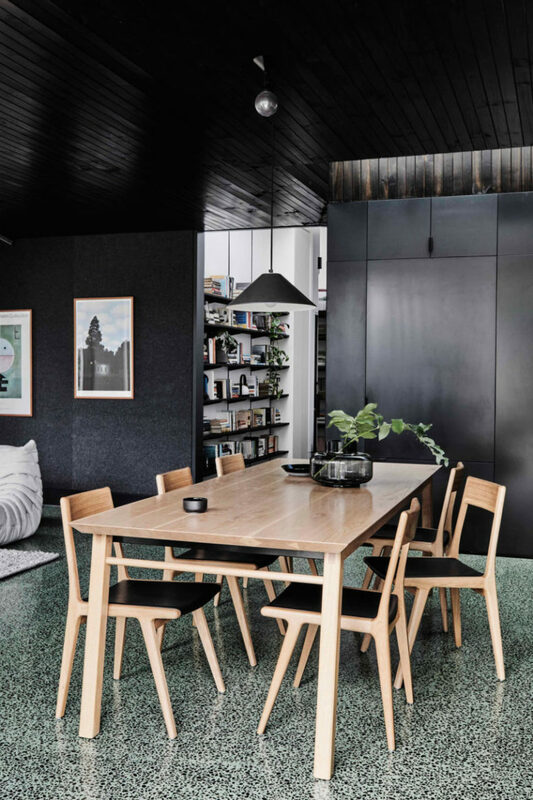 A wooden table and chairs with black leather plus a black glass vase and a black pendant lamp for the dining space. 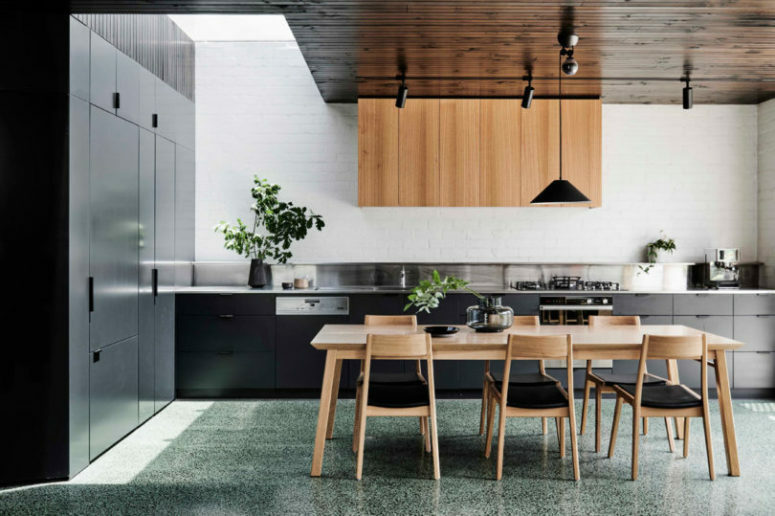 The kitchen features sleek black cabinets, upper light-colored wooden ones and some potted greenery. This house is consist of a small terrace and a lawn outdoors, and there’s a large glass door that lets you reach outdoors easily and fast.